A60 Ankle Support. A sophisticated slimline anatomic support, for use in the graduated return to full activity and sports following ankle sprain, ligament damage or injury. Developed as a support for various athletic pursuits, this A60 Ankle Support is designed in various sizes and left or right foot. Supportive, easy to put on and comfortable to wear, it is a useful aid for many kinds of sports. It helps to prevent the recurrence of ankle injuries including inversion injury and strains and it is easy to adjust by means of a stretchy, Velcro-style strap.For use in the graduated return to full activity and sports following ankle sprain, ligament damage or injury. Developed as a support for various athletic pursuits, this A60 Ankle Support is designed in various sizes and left or right foot. Supportive, easy to put on and comfortable to wear, it is a useful aid for many kinds of sports. It helps to prevent the recurrence of ankle injuries including inversion injury and strains and it is easy to adjust by means of a stretchy, Velcro-style strap. Orthopaedic advice: When to use this product: An excellent ankle support for the onward rehabilitation of ankle instability as one returns to daily activities and full sports participation. This slimline ergonomic and anatomic ankle brace is easy to fit, slimline so will fit in shoes. 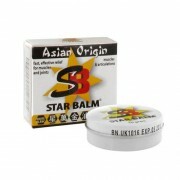 It is suitable for day to day use and for sports. It protects the ankle from twisting and re-injury whilst not restricting sports participation. This is the more supportive version than most other ankle supports other than the AirSport Ankle brace. 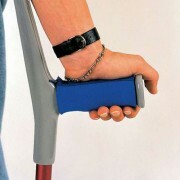 However it is slimline and lightweight and can be used once a less bulky and strong support is necessary. This brace will stabilise and protect the ankle and help prevent recurrent injury, sprains and damage. This is the one of the more expensive version but well worthwhile. Suitable for ankle support following injury or fracture, particularly ligament ruptures, strains and surgery. Recommended. A sophisticated slimline anatomic support, for use in the graduated return to full activity and sports following ankle sprain, ligament damage or injury. Developed as a support for various athletic pursuits, this A60 Ankle Support is designed in various sizes and left or right foot. Supportive, easy to put on and comfortable to wear, it is a useful aid for many kinds of sports. It helps to prevent the recurrence of ankle injuries including inversion injury and strains and it is easy to adjust by means of a stretchy, Velcro-style strap.For use in the graduated return to full activity and sports following ankle sprain, ligament damage or injury. Developed as a support for various athletic pursuits, this A60 Ankle Support is designed in various sizes and left or right foot. Supportive, easy to put on and comfortable to wear, it is a useful aid for many kinds of sports. It helps to prevent the recurrence of ankle injuries including inversion injury and strains and it is easy to adjust by means of a stretchy, Velcro-style strap. 1 review for A60 Ankle Support. An excellent ankle support for the onward rehabilitation of ankle instability as one returns to daily activities and full sports participation. This slimline ergonomic and anatomic ankle brace is easy to fit, slimline so will fit in shoes. It is suitable for day to day use and for sports. 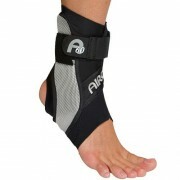 It protects the ankle from twisting and re-injury whilst not restricting sports participation. This is the more supportive version than most other ankle supports other than the AirSport Ankle brace. However it is slimline and lightweight and can be used once a less bulky and strong support is necessary. This brace will stabilise and protect the ankle and help prevent recurrent injury, sprains and damage. This is the one of the more expensive version but well worthwhile. Suitable for ankle support following injury or fracture, particularly ligament ruptures, strains and surgery. Recommended. 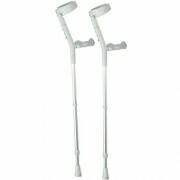 Soft Grip Comfort Handle Crutches – GREY. 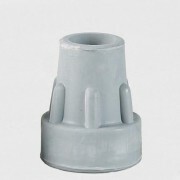 Crutch Ferrules – 16mm – Pack of 4.